Join us for a morning of stewardship and camaraderie! All ages and abilities welcome. Visit the New Vernal Pool Trail! "A short but innovative trail, which features Bluetooth 'beacons' geared to blind and other visually impaired people, recently opened on the western edge of Santa Rosa at the historic Baum family farm. 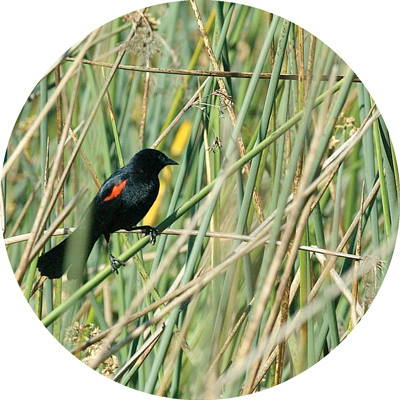 A collaboration between the Laguna de Santa Rosa Foundation and the Earle Baum Center, the .83-mile Vernal Pool Trail winds through an intact 17-acre vernal pool wetland complex at the Baum center and brings major recreational and other benefits to those with sight loss. It’s designed to educate people about the importance of vernal pools, one of Sonoma County’s most precious ecological resources, often home to the endangered Sebastopol meadowfoam flower (Limnanthes vinculins) and other rare native plants..."
Our work continues as we help with replanting native species on fire impacted properties and collaborate with other organizations to develop a clearer understanding of the ecological impacts to the land. Click here for more information. Camp Tule Registration is Open! We had so much fun with the inaugural year of Camp Tule in the summer of 2018 that we are already getting excited for 2019! The LEC's rich history, stunning viewscape, beautiful native plant gardens, and bountiful places to explore make it a magical site for fun, meeting new friends, and learning about our local environment. 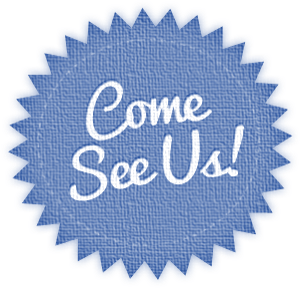 Plan now to send your special 6-9 year old to one of the Monday-Friday, 9am-3pm sessions during the weeks of July 8-12, July 22-26 or August 5-9. Click here to register! Our annual benefit will be held on Sunday, June 9. Celebrate what’s wild in the Laguna with a visit to our new native plant nursery, a hayride to one of our largest conservation sites, and spend time with one of the best conservation grazers – Picasso the Goat! We’ll provide a feast of local foods, wine and brews - we hope you will join us for an afternoon of fun! 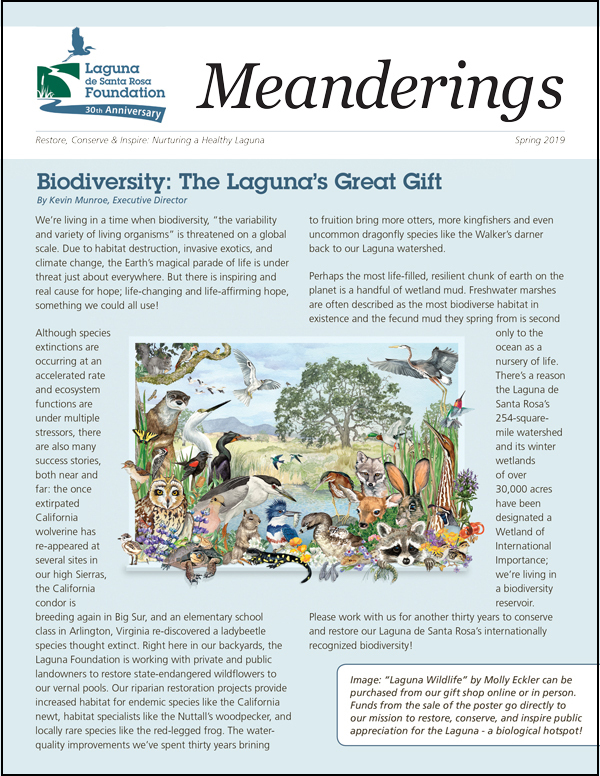 We recently reprinted our Field Guide to the Laguna thanks to a sponsorship from Tim Stewart and Wild Birds Unlimited. This 80-page guide is packed with detailed, local knowledge and illustrations by John Muir Laws. Pick up your copy today by ordering online of visiting our gift shop at the Environmental Center. 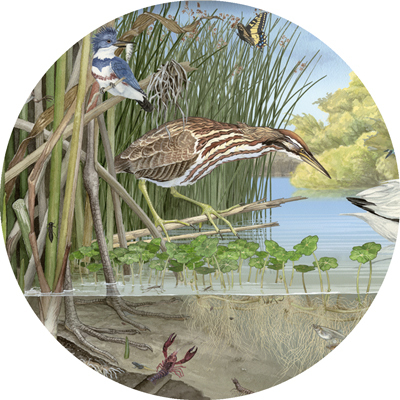 The Laguna Environmental Center is home to our administrative offices, gift shop, native plant gardens, and Great Blue Heron Hall where we host a new art exhibit every four months. It is a great first stop for anyone looking to learn more about the Laguna de Santa Rosa. Corner of Occidental Rd. and Sanford Rd. What is the Laguna de Santa Rosa? Check out our latest issue of Meanderings!